Day 1 begun with, of course, some project time. Personally, the mere 60 minutes we were given were a miracle considering I hadn't even begun assembling my magazine at this point.Although I ended up with only some more cut outs by the end of the day, I felt more affirmative in where I was going. 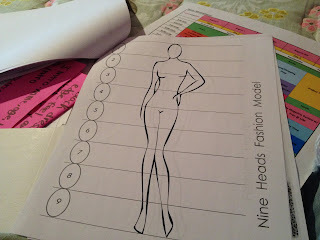 Following that short hour, we had a Fashion Illustration class, where we learn a myriad of things. 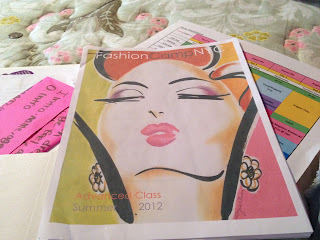 First, we were given a packet which contained drawing tips, information on fashion design, and works of art Ty Wilson, the person who taught the class, drew. 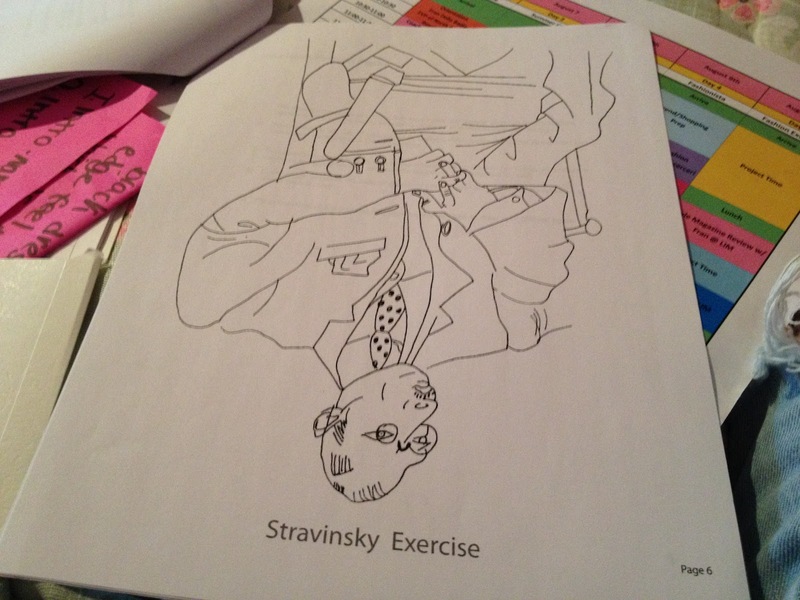 After perusing through the packet, we begun the Stravinsky exercise. Through this exercise, you learn that even the least artsy person can draw. You have to draw a Picasso picture upside down. I think mine turned out alright, but since I didn't finish, I thought I wouldn't post the picture. Next, we learned how to draw a basic model figure, helpful for designing. I was a lot better this year than last year (at camp), which made me excited. After a grueling yet fun 2 hours, we went to lunch at Europa cafe. Eventually we took an adventurous subway trip to the Armani Exchange showrooms. We were supplied with a preview of Spring 2012, an inside look of how products are created, and free t-shirts (score!) And so, we hurried back to LIM College to see time had a not been on our side. Day 3 is complete. Sorry for the lack of pictures for Day 4! I felt it would be rude to take pictures of the presenters, and we weren't allowed to take picture in H&M. Now, I have to admit, today was probably not my favorite. We begun the day with a shopping trip to H&M. I forgot to mention that on Day 3, they paired us up in groups of two for something called "The Project Runway Challenge." We were paired based on whose magazines were closest in relation. 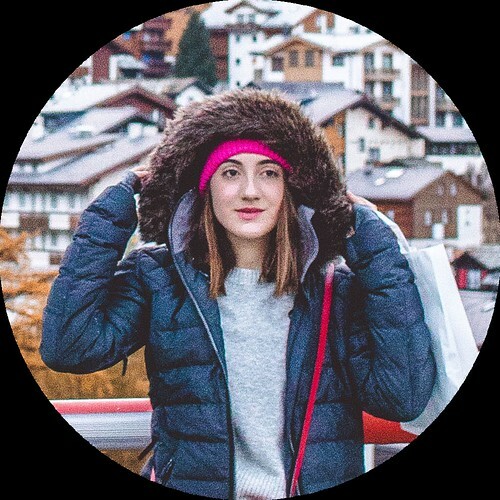 This challenge is to create a look inspired by your magazines, and have one person in the group model it on Day 5. So after struggling to find maxi-dresses during the transition to fall, my partner Olivia and I made our way back to LIM for a presentation. Dorothy Cascerceri, a TV fashion editor, spoke to us about her job and how she worked her way to being featured on E!. I found this very interesting, yet, by the time Donegar group was done speaking about colors, I was exhausted. Thankfully, we were dismissed to lunch, which was a relief for everyone is seemed. When I saw we had Michelle Spiro of Calvin Klein Underwear speaking, I cringed. I was like,"What could someone in the underwear industry have to offer?" I was completely wrong in what I had thought. She had some cool exercises to do with us, which I think stems from her physiology background. After gaining knowledge on how to make use of my clothing within my closet, we were given goodie bags, which was pretty awesome. After a jam-packed day, we had some much needed project work time. At this point, I had maybe one page of my magazine done, and I really needed to work. Now Day 4 has been completed. You guys will never believe what I did today! Yes, a music video. I was having a sleepover with the people I call my best friends, and somehow my one friend was like ,"Let's do a music video!" We sifted through my i-pod and decided on "Good Time" by Carly Rae Jepsen and Owl City. If you guys want to see the video, I will post it, so just make a comment telling me what you thought of the post above and if you want to see it. Have a nice night/day!